Sneak Peak – What’s in My Cart for Spring? A new season brings about a whole new crop of trends to play with and this spring is definitely all about fun and flirty vibes. 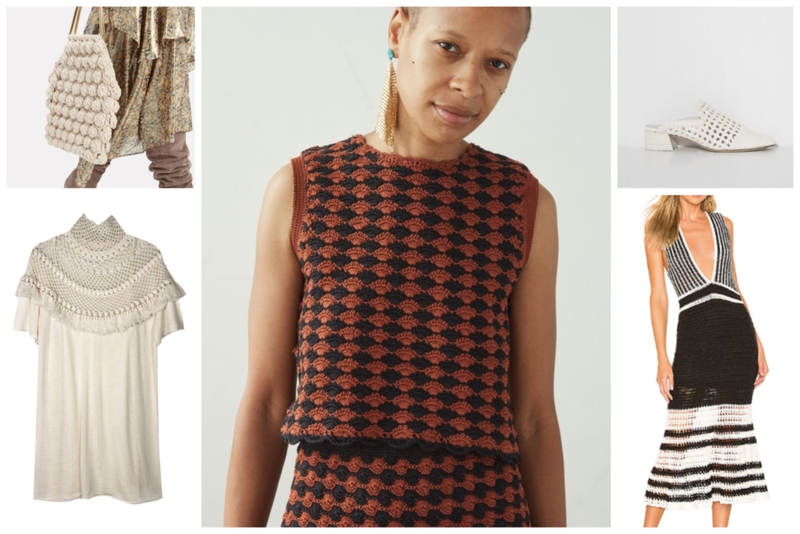 It can be hard to sift through which fashion movements to mix into your wardrobe, but ultimately it’s important to choose the ones that bring up the highest feelings of joy when you click “add to cart!” I chose the three that I’m most excited to explore and the best part is that they can be mixed with each other to balance elements of structure and texture. 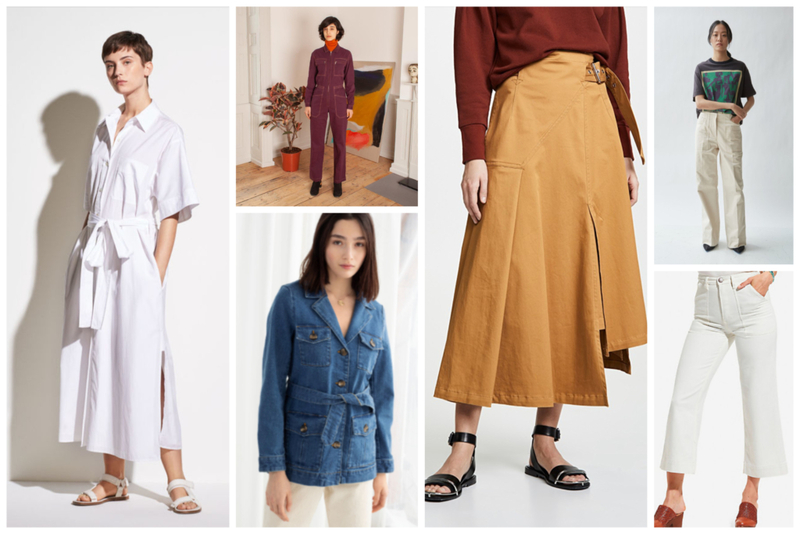 While we are still dealing with the weather teasing us, one trend that will help with transitioning is the utilitarian craze. If you really want to commit to the trend, rock a jumpsuit! But if you’d rather add in pieces like trousers and jackets, play with contrasting softer pieces such as silk blouses and woven bags. As seen all over runways like Oscar de la Renta and Rodarte, it’s time to tap into your crafty side with crochet pieces. Don’t worry – this is not your grandma’s crochet! The look adds an element of 70s cool while still chic and elevated. Pair a crocheted top back to the wide-legged workwear denim from the utilitarian trend, be bold with an all-over crocheted dress, or look for purses and mules that easily take your outfit to the next level. Once it finally feels warm enough, it’ll be time to break out the shorts. I’m not even talking about basic denim short shorts though. 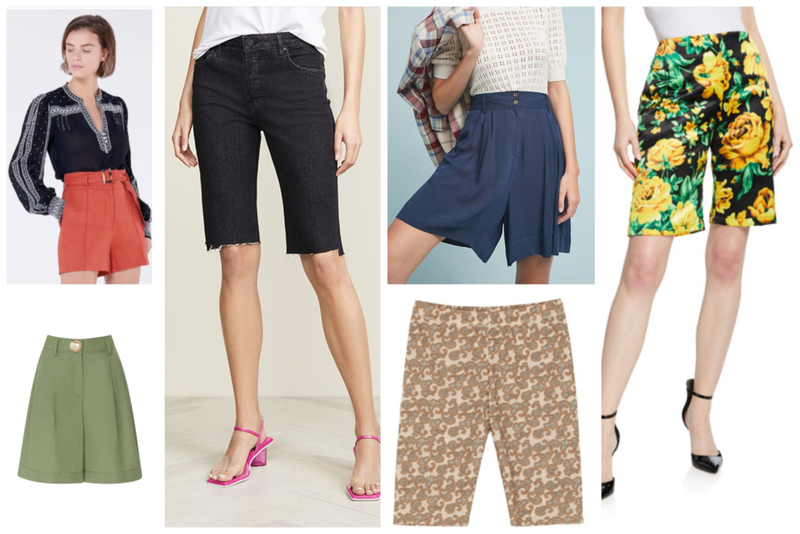 I’m way more excited about silhouettes that can even take our shorts into the workplace! On the more daring side of this spectrum are biker shorts which can be matched with boyfriend blazers or flouncy blouses. Or try tucking in tees and shells into wider shaped shorts. Make sure pairs like these cinch you at the waist and billow out from there for an ultra-flattering fit. Enjoy the start of spring and all the sunny vibes you’ll be adding into your sweet new wardrobe!